Prize-winning Tennessee marksman Alvin York (Gary Cooper), a recent convert to Christianity, finds himself torn between his non-violent beliefs and his desire to serve his country when recruited to fight in World War I. Kindly Major Buxton (Stanley Ridges) convinces York to engage in battle, where the pacifist's prowess with a rifle earns him honors as he continues to struggle with his decision to kill. Howard Hawks directs this adaptation of the real York's memoirs. 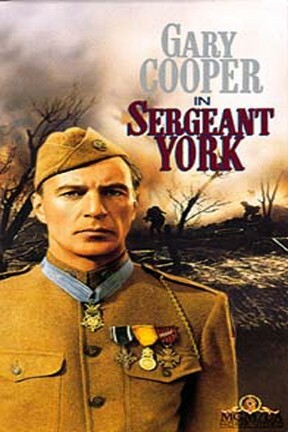 Sergeant York is not showing in any theaters in the area.